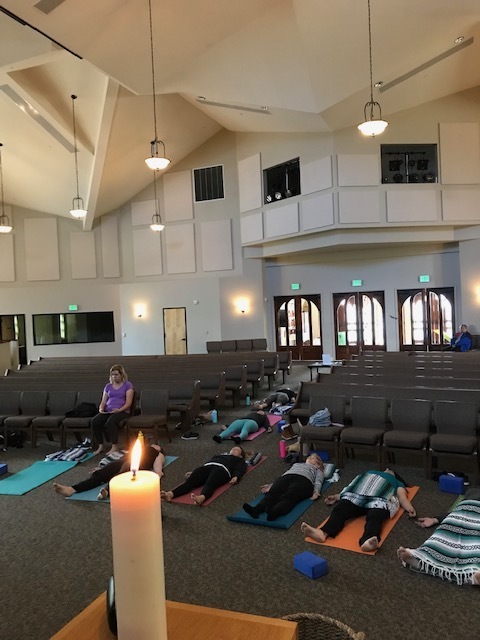 Yoga Chapel meets every Monday 9:30-10:30am in the sanctuary and is led by Associate Pastor Jennifer Witten, a certified yoga instructor. Yoga Chapel integrates Christian meditation and movement so that God can help us with our stress, anxiety and stiff bodies! All are welcome. No yoga experience necessary! Child care is provided for $5 per child. For more info, contact Pastor Jennifer.